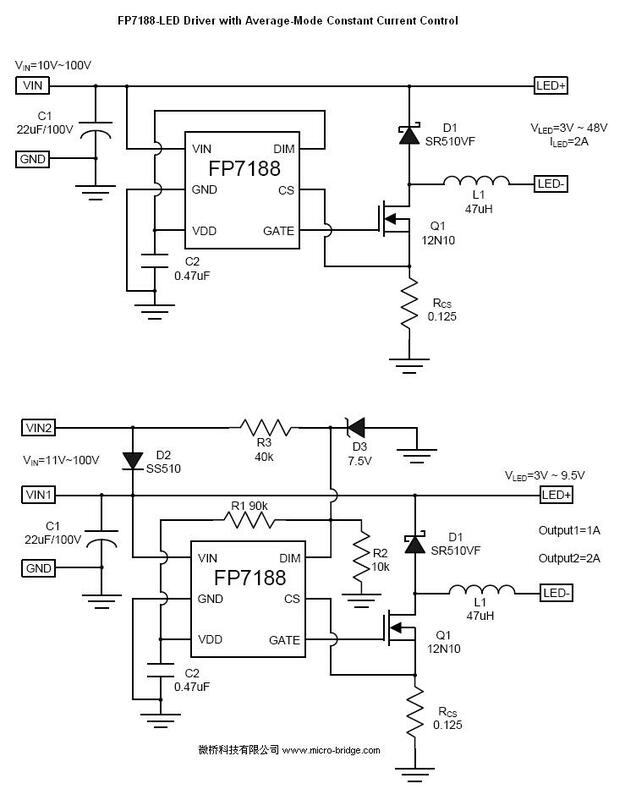 The FP7188 is an average current mode control LED driver IC operating in a constant off-time mode. FP7188 does not produce a peak-to-average error, and therefore greatly improves accuracy, line and load regulation of the LED current without any need for loop compensation or high-side current sensing. The output LED current accuracy is ±2%. The FP7188 can be powered from an 8.0 - 100V supply. A PWM dimming input is provided that accepts an external control TTL compatible signal. The output current can be programmed by an internal 250mV reference, or controlled externally through a 0.2 �C 1.5V dimming input.